Last Thursday, Severed Heads frontman Tom Ellard sat in front of a small audience and shouted, “If you’re wondering whether your music is ‘experimental,’ why the hell are you even making music?” The onlookers at his public interview at Unsound Festival in Krakow responded with amused chuckles. Ellard’s was the most lively talk I saw at the weeklong experimental music gathering, which hosts panels, conversations and concerts during the day and parties at night. It acts kind of like an “underground” or “avant-garde” foil to the more mainstream electronic music industry conference Amsterdam Dance Event, which happens at the same time. 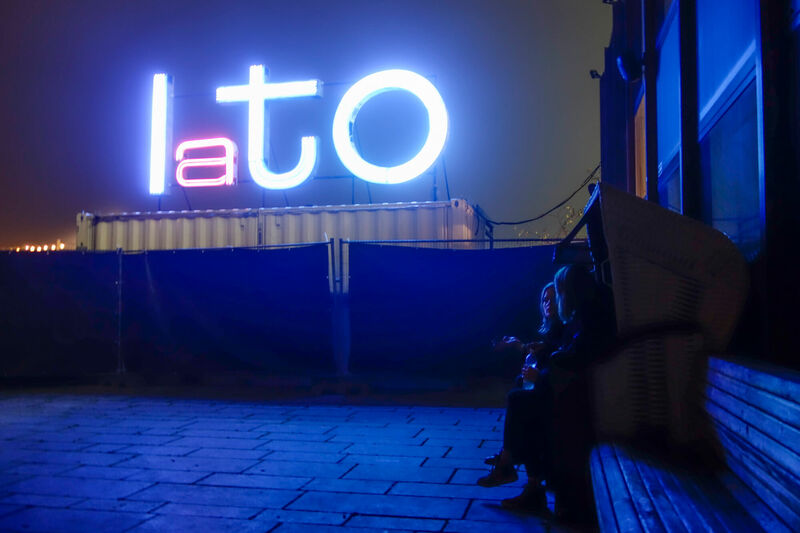 But in my experience the daytime events aren’t as fun as the week’s main attraction: two all-night parties and one half-night on Thursday at Krakow’s Forum, a massive defunct hotel that opened in 1989 and closed in 2002. (This year, an entire side of the hulking brutalist building was covered by an advertisement for “Poland’s fastest growing and sexiest start-up” that read “DON’T BE A CORPORATE SLAVE,” which added an ironically comical touch to the experience of attending an underground rave there.) So it follows that many festivalgoers arrive Thursday or Friday. 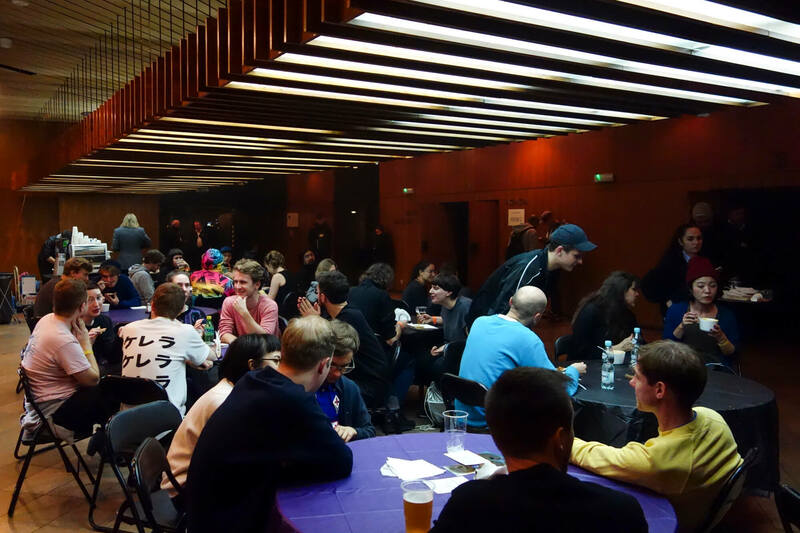 Unfortunately this means that many attendees miss out on one of Unsound’s most talked about highlights: the late-night industry-insider karaoke sessions that tend to happen earlier in the week. My favorite non-Forum performance took place at the Łaźnia Nowa Theater, a space located in a part of Krakow that was built during the Soviet realist period. On Friday evening, Javanese noise-indebted duo Senyawa delivered an intense opener for industrial hip-hop outfit Death Grips. Senyawa delivered an equally engrossing performance the night before at Forum’s inaugural 2016 Unsound party with Rabih Beani, who released a killer LP from the group on his Morphine label last year. Beani’s electronic bass, effects and drums supplemented and enhanced vocalist Rully Shabara’s tortured croaks and squeaks and the odd sounds of Wukir Suryadi’s handmade instruments. 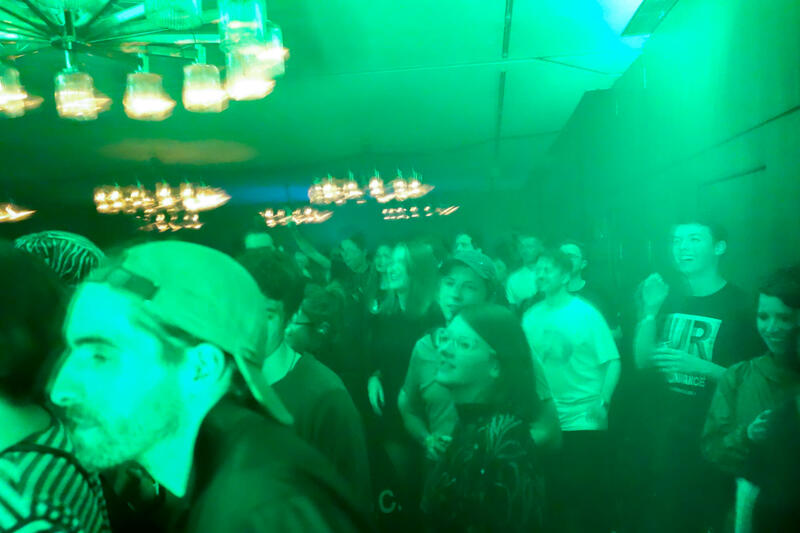 The combination added an at times DJ-friendly dimension to Senyawa’s vision, as the rhythmic phrases that bubbled up during their solo gig at Łaźnia Nowa were extended with Beani into hypnotic, and occasionally mixable, tracks. 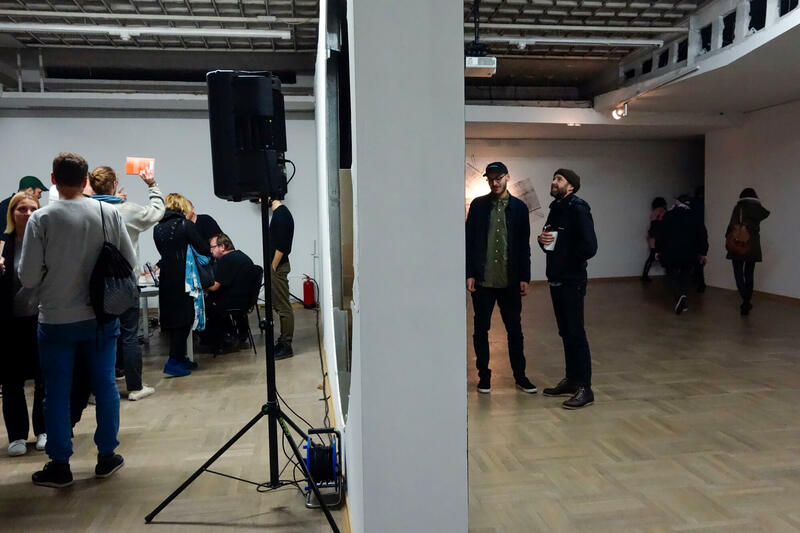 All of my favorite performances this year came from bands or non-club music live acts, which is only notable given that Unsound books more DJs than probably any other co-member of the ICAS experimental festival network—except for Berlin’s CTM. Raime, a production duo that performed as a band with drummer Marie Davidson on Saturday, combined live instrumentation with electronic flourishes, which lodged its sound somewhere between the kind of music associated with club DJs, like techno and bass-driven genres with darker strains of rock, like post-punk-indie-wave. As for purely electronic acts, Errorsmith presented what he later reported on Twitter to be “one of the most important gigs in my life.” Although Forum’s Room 2 was packed to the brim at the start of his set, the crowd loosened somewhat as he delved into more overtly “experimental” or harsher passages. JD Twitch, one-half of Scottish duo Optimo, prepared what the Unsound program identified as a DJ performance entirely comprised of tracks by the prolific composer and producer Muslimgauze—but it sounded like he was slipping in his own edits and even incorporated some live alterations to certain tracks as they played. The set covered a lot of ground in terms of tempo and style—there were moments of molasses-thick slow grooves as well as much faster, clattering dub-inflected rhythms—but he retained a cohesive vision and persistent depth. 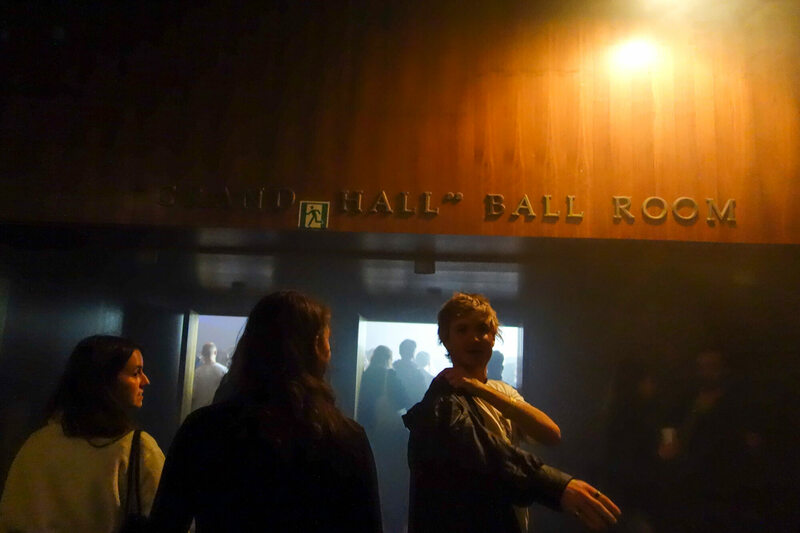 While Unsound’s curation covers a lot of stylistic ground, ultimately the club-specific programming at Forum seemed to favor certain ideas about what kinds of DJs are experimental over others. The heavy presence of techno acts on the lineup reinforced the arbitrary idea that, in dance music’s fundamental dichotomy between house and techno, the latter is inherently more experimental—no matter how formulaic and traditional it is. So while techno was presented pure and free of pretense from headliner DJs like Fred P, Apeiron Crew and DJ Olivia’s back-to-back session with Nazira, virtually, if not all, of the house-oriented artists incorporated some twist: Japanese house producer Soichi Terada delivered an hour of saccharine classic house jams, but performed them live; Anthony “Shake” Shakir is known for his out-of-the-box Detroit approach to house tropes; and Africaine 808 and a few others provided iterations of house spiced with “ethnic” elements. Styles that defy easy classification between house and techno, like juke or the intentionally futuristic grime and R&B-indebted club sounds that are often tagged with the word “deconstructed,” got a lot of airtime. That said, I appreciated Unsound’s (probably conscious, and good on them for it) effort to book female musicians—and furthermore, to put them in prime slots. You’d be hard pressed to find a festival with a more even balance of genders on the lineup, especially one of Unsound’s scale. Women closed the main room on both Friday and Saturday night with slamming techno sets. Raving on Saturday morning to the sounds of Copenhagen’s Apeiron Crew was a particular highlight, but after hours of relentless and mostly techno bangers, it was hard to muster the will to kick on at the after party, which also served as the inaugural event for 89, Unsound’s new nightclub. This was partly due to the logistics, as the space—although located just downstairs from the main Forum floors—was just not ready to open at the scheduled time. So a crowd that looked far too large to even fit in the venue was forced to cue up and wait for far too long in the bitter, early-morning cold to enter. To be honest, it just didn’t seem like it was worth the struggle when the lineup promised more…techno.